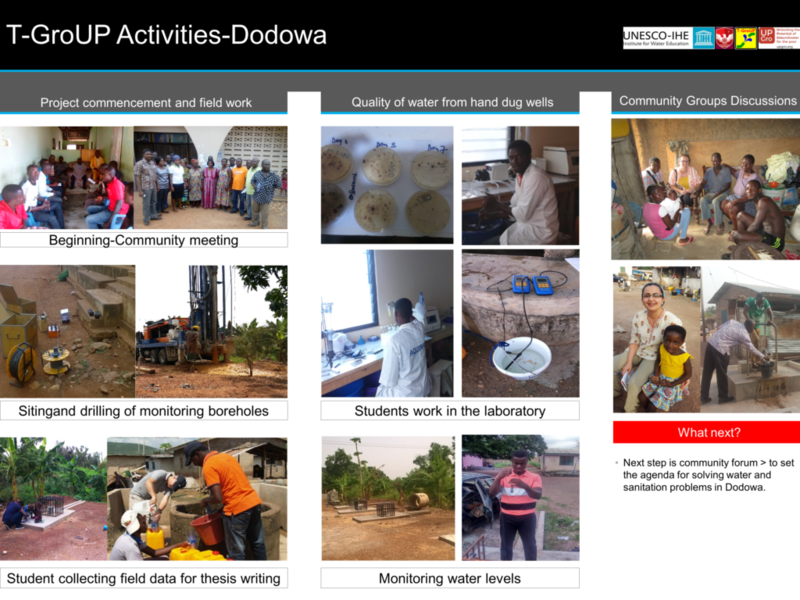 In February 2017, the Dodowa transition team organized several meetings with the inhabitants of four communities and the active members of two community based organisations (CBOs) in Dodowa (Ghana) with the purpose to disseminate the research results of the T-GroUP project and, more specifically, to inform all about the status of groundwater quality in the area. The dissemination activities in the communities also aimed at identifying potential participants to take part in the Transition Management process. This means that during the meetings the local researchers paid particular attention to identifying those people that showed interest and motivation and therefore could be potential participants of the Transition Management arena process. The preparation of the dissemination activities has been a very sensitive process. It proved to be difficult for us, the local teams and other T-GroUP researchers, to develop clear messages to deliver to the local inhabitants. What information and in which way could that be best shared in order to avoid creating tensions in the communities? After multiple skype calls, email discussions and the like, we were able to summarize the main results and core messages from the research findings in a brochure and a poster. During the presentation of the research findings the participants showed as they listened carefully. They were encouraged to ask questions, and to share their opinions and suggestions. Which they did! Questions were related to the quality of water and the possible solutions to its contamination. Some participants were doubting the fact that their groundwater is not fit and unhealthy to drink. They were explaining that they have been drinking the same water since many years without having problems. Nevertheless, many participants were interested to receive additional and more detailed information. One participant asked how much groundwater was present and how long they could use it. Other participants asked what technical solutions were available for solving the contamination of water and salinity. Others asked questions related to the health consequences of using contaminated water. 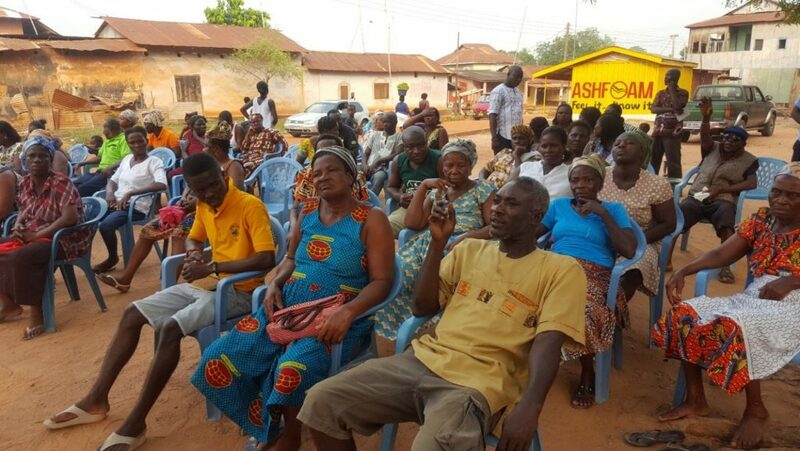 The active participation of the community members showed that there is an interest in the community to reflect upon the local challenges. The local team observed that the community members showed high expectations towards the T-GroUP project to solving their water problems. The local team had to explain several times that is important to find solutions together. 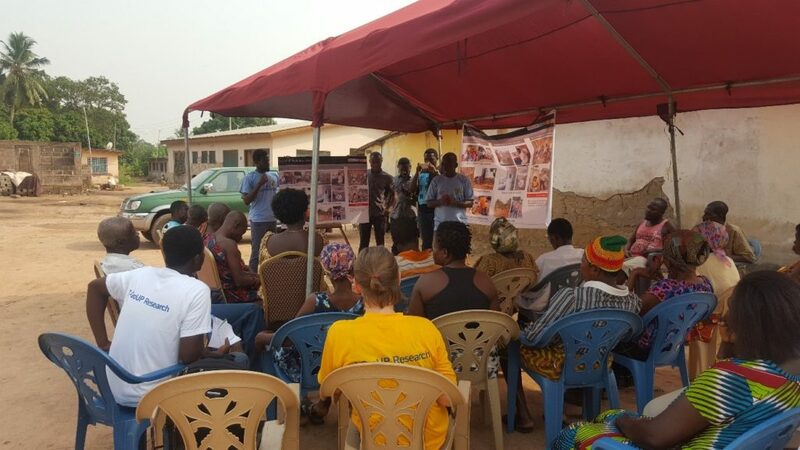 It is very important to continuously explain to the community members that T-GroUP project does not aim to solve problems alone but wants to make the local inhabitants aware of their problems and empower them to find solutions together with the researchers and other local stakeholders. The self-responsibility, self-ownership and capacity building of the community members is key for sustaining the implemented solutions over time. The science café with ‘Moko Sane Group in Action’ community based organisation. 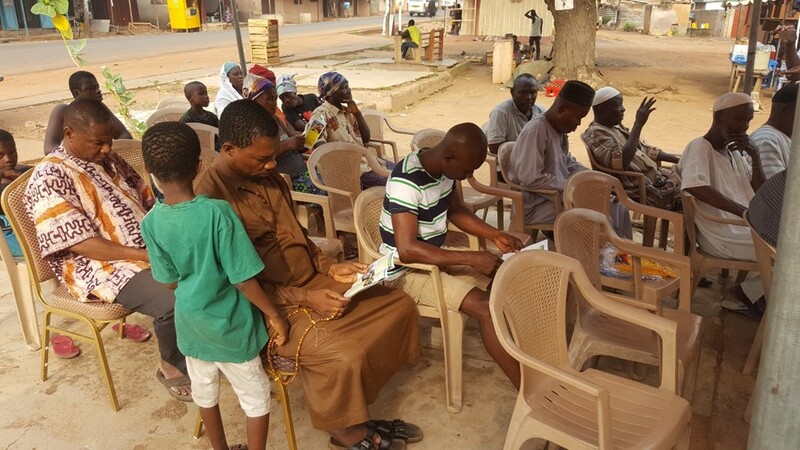 Community members in Zongo community read the brochure with the core messages from the research findings. Dissemination of research results in Apperkon community. The poster showcasing T-GroUP activities prepared for the dissemination activities.